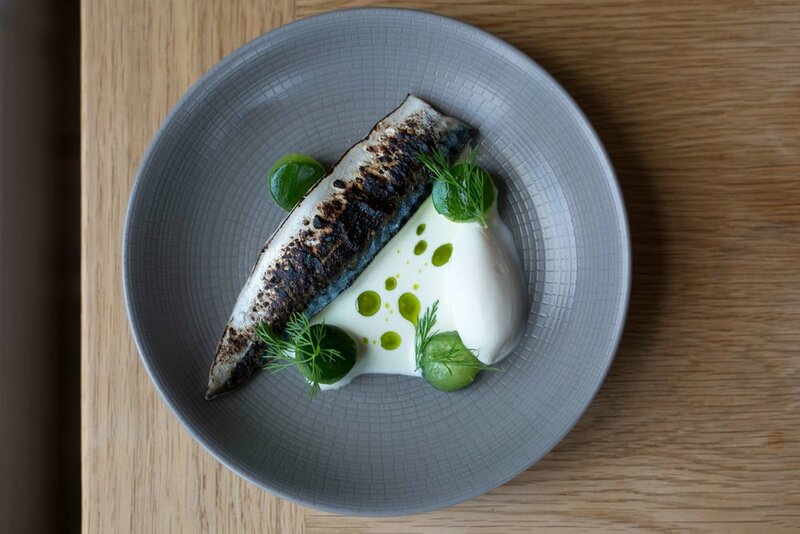 This delightful pickled mackerel is incredibly zesty and tender. Torched for flavour, and served with lemon infused cucumbers, horseradish cream and dill, the amalgamation of these flavours evoke a creaminess that is light and refreshing. The cucumber adds a gentle crunch. Soft, delicious and tender, the duck breast is framed with roasted baby parsnips which are sprinkled with a light scattering of turmeric. The duck crackers are made from the crispy skin of the bird and pair perfectly with the deliciously soft purée. The dish has a smoky rich taste with gentle, light textures. This dish has an ethereal mix of flavours and textures. The trout is pan fried giving it a crunchy outer layer which pairs exquisitely with the salty softness of the greens. The saffron evokes an exotic flavour and the mussels & the spicy dew sauce bring all the tastes of the dish together in a beautiful way. A beautiful dessert to end a heartwarming meal. The rasberry foam is light and gentle and the milk and dark chocolate sorbets are sprinkled with a gentle scattering of toasted hazelnuts, cinnamon, nutmeg. This creates a soft crunch and a gentle dryness that complements the light fruity gel perfectly. Please note: We accept payment by debit cards, credit cards, AMEX and Apple Pay but not by cash or cheque.